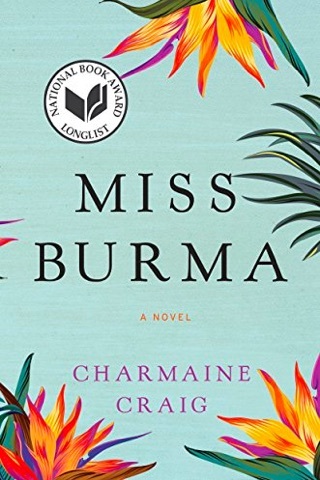 An historical family saga in the classic sense, Charmaine Craig’s Miss Burma puts a twist on things by setting the book in the tumultuous Burma of the 20th century, from the time of British colonialism, through to independence and Ne Win’s seizure of power. It focuses on the shifting fortunes of a non-Burman family swept up in the turmoil, as they take advantage of the good times and face tragedy during the bad. This is a book described by big words: sweeping, epic, sprawling, political, sentimental. And while this may at first glance turn more literary readers away, they would do well to give the book more of a chance, as it focuses on an aspect of Burma’s culture not often teased out for those with only a passing knowledge of the country: its ethnic minorities, and their (ongoing) conflicts with the ethnic Burmans. At its heart, this is a book about identity and power. Burma-born Benny, a Jew whose grandfather was once the rabbi of Rangoon, wanders through the capital he returns to in 1938, after years studying in India: “The very names of these tribes bewildered his ignorant ears: Shan, Mon, Chin, Rohingya, Kachin, Karen (these last pronounced with the accent on the second syllable, it seemed to him—Ro-HIN-gya, Ka-CHIN, Ka-REN), and so on,” writes Craig. Benny ends up marrying Khin, a Karen woman, and he becomes a convert to the Karen cause. The Karen fought on the side of the Allies during World War II, but were betrayed by the British who had promised them an independent nation. Karen State was one of seven ethnic states in the Union of Burma, but in 1949 Karen troops began an armed insurrection against Burmese rule. This was one of the longest running civil wars in modern history. Benny and Khin’s eldest daughter, Louisa, is chosen as Miss Karen State and then wins the “Miss Burma” crown in 1956. Louisa’s mixed-race heritage makes her an obvious symbol of the country’s future, but even Louisa herself sees through the artifice as the country descends into dictatorship and she allies herself with guerrilla fighter Lynton (who was once her mother’s lover—this is not a prudish book). The book was inspired by members of Craig’s own family (Benny was based on her grandfather, Louisa on her mother); this is the sort of information we find a little bit frustrating to know, because it does leave us wondering, which bits are true? Was Louisa really reported to have been sleeping with Ne Win? Did Lynton actually exist? These questions aside through, Miss Burma is a compellingly told history from a people whose voice is not usually sought by the mainstream. The details are beautifully rendered and the story vividly told. Given the current plight of the Rohingya in Burma, the history of ethnic minorities in the country is one important for us all to know.